Այբ Ապուրին is a multilingual book that teaches the Armenian alphabet to children 3 to 7. Each letter is accompanied by a colorful, engaging drawing that describes an item or activity that begins with that letter. The word is written in Armenian and followed by its transliteration in Western and Eastern Armenian and its definition in English and French. 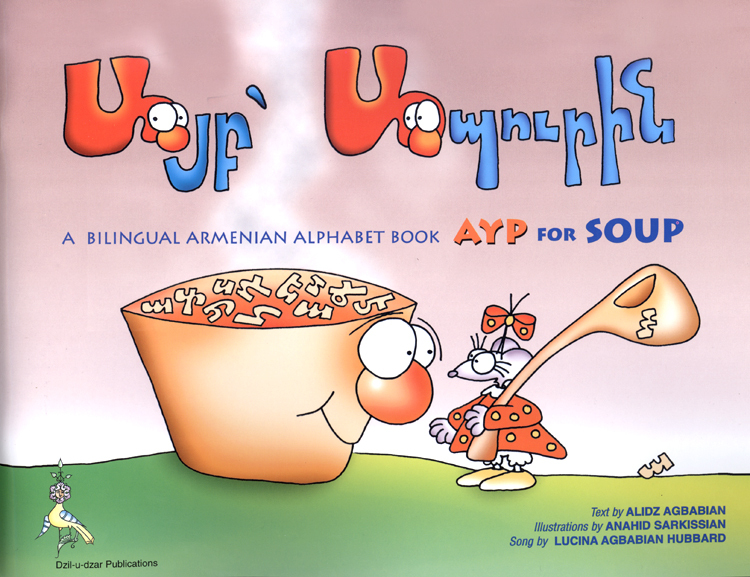 The book also includes sheet music for an alphabet song adapted from an Armenian folk melody.